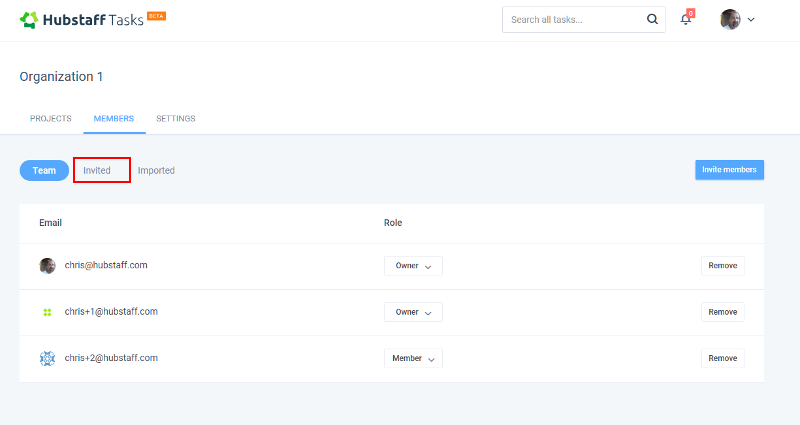 How do I remove invited members in Hubstaff Tasks? You can follow the steps below to remove members that you have invited but have not accepted their invites yet. 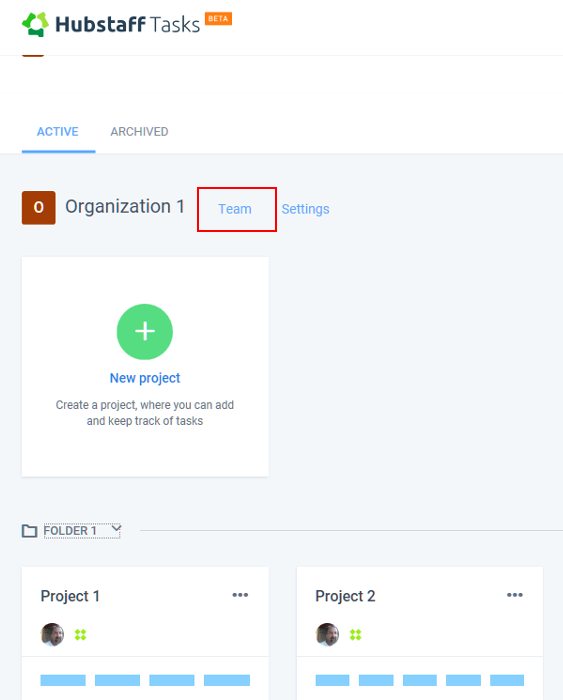 First, log into your Hubstaff Tasks organization and then click on the Team link. Next, click on the Invited tab as seen below. 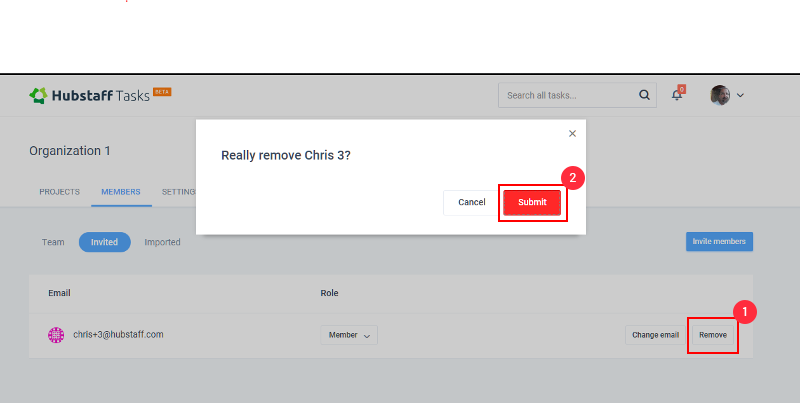 Finally, click on Remove for the members you want to remove the invites for and then click Submit in the pop up window for each member. This will remove them and take you back to the main Members page.